2017 Royal Flair Raptor. 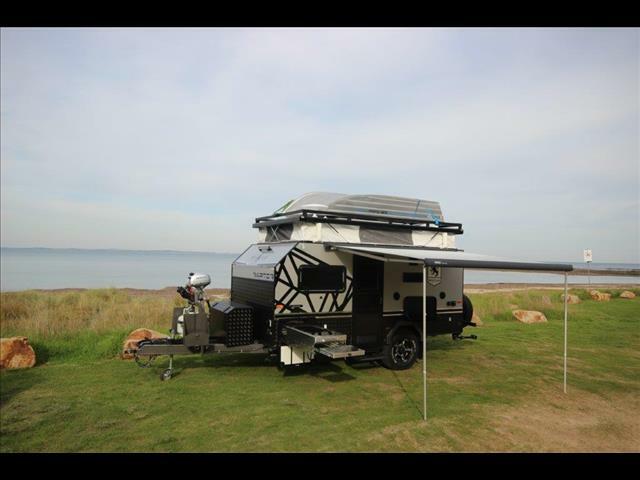 This is a full off road caravan and it is available in Brisbane now. The 2017 Royal Flair Raptor Off Road Caravan has a proven 3500 kg rated chassis and independent suspension system by G&S Chassis, the leader in caravan chassis. The Royal Flair Caravans Raptor is a full off road caravan that has been designed to travel the harshest conditions Australia has to offer, it has a one piece composite wall, roof, front and rear wall construction along with a one piece Honeycomb Composite floor panel.